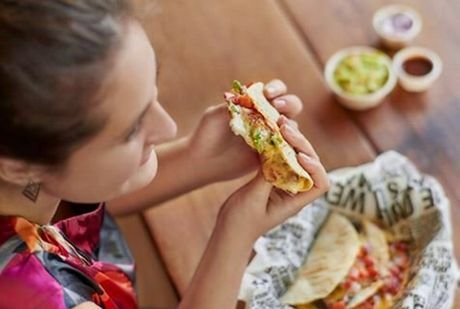 DRIVE-THROUGH coffee and a drive-through Guzman y Gomez Mexican Taqueria will take up the ground floor at a new development on the corner of Beach Rd and Maroochydore Rd. The busy block at 1 Beach Rd, Maroochydore, is opposite Bendigo Bank and is currently used by Suncorp Banking and Hutchinson Builders. 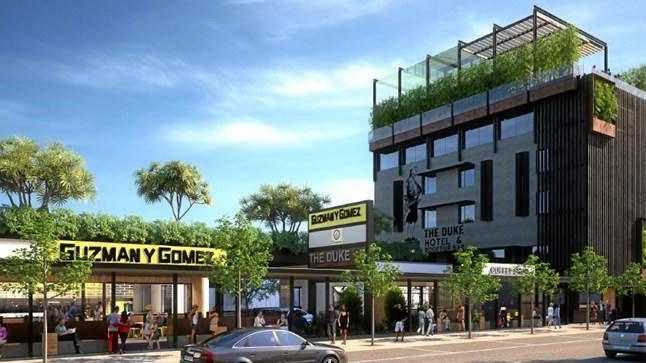 Developer Brendan Bryant, of Bryant Property Group, said plans approved by Sunshine Coast Council included a rooftop bar atop a 12-room, two-storey boutique hotel and three levels of commercial space. Offices and health care services were all uses of the site approved in the plan assessed by the council, but Mr Bryant said the immediate priority would be to establish the drive-through outlets, as those tenants were "ready to move to Maroochydore". 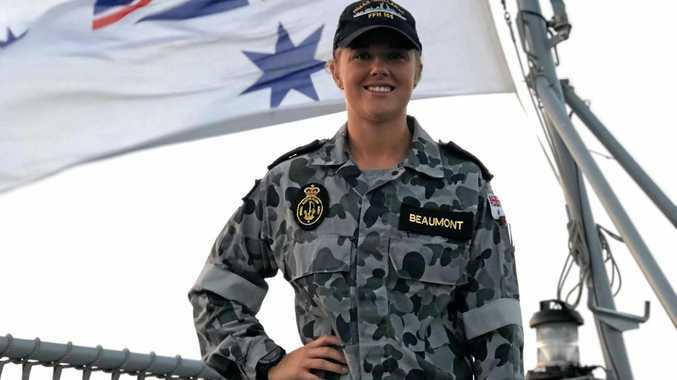 He said he had been "inundated" by seven expressions of interest from drive-through operators, but had chosen a national coffee franchise and the popular Mexican restaurant Guzman y Gomez. "Bringing Gomez over this way is great - it'll bring more people into the area," he said. Customer demand for drive-through convenience was driving the market, Mr Bryant said. "People just want the handiness now, they just want the convenience of it," he said. Mr Bryant said he couldn't reveal which coffee chain would assume the new post, but confirmed it was one that it didn't currently have any outlets on the Coast. A founding member and former vice president of Maroochydore Revitalisation Association, Mr Bryant was involved in transforming the Ocean St precinct into its current cultural hub, and is currently working to open his Orleans Bar and Restaurant on Duporth Ave, Maroochydore. "That site's leant itself to doing stuff like that because of what's going on in Ocean Street," he said. "It's one reason we chose that spot." Bryant Property Group has 10 office buildings around Maroochydore, as well as hotels including Top Spot Motel at 8 Beach Rd. "It's a small development for us," Mr Bryant said. "But it's good everything's picking up in the CBD now - with all the building approvals and activity. He said the development plans may change depending on commercial interest. He was considering expanding Top Spot Motel and focusing the project at 1 Beach Rd on commercial spaces above the drive-through outlets, he said. "We're getting constantly booked out at that hotel so we're thinking of building up on that one," he said.